Following on from a successful trial with Alistair, Mike T, Andy and John the group decided to have another run-through to get to grips with what appear to be an easy-to-learn, fun and fast-playing set of rules! 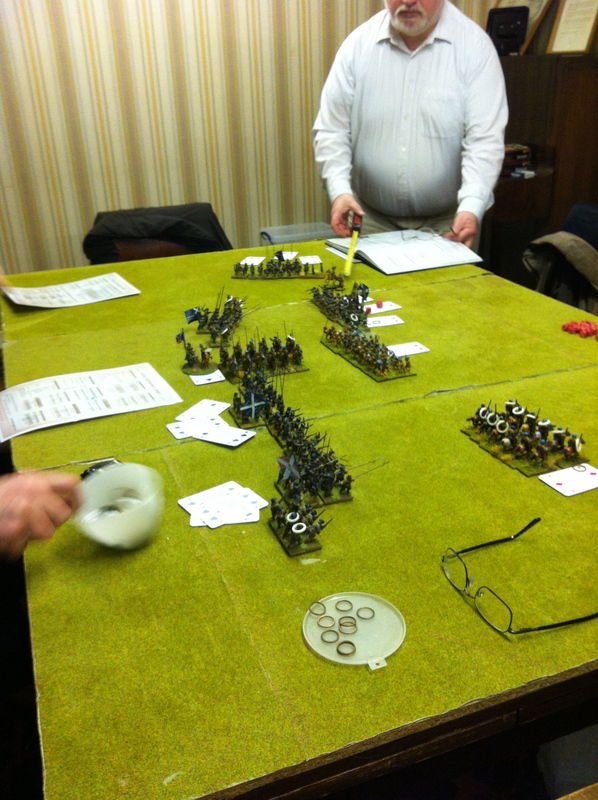 Tuesdays Pike & Shotte game in progress……. 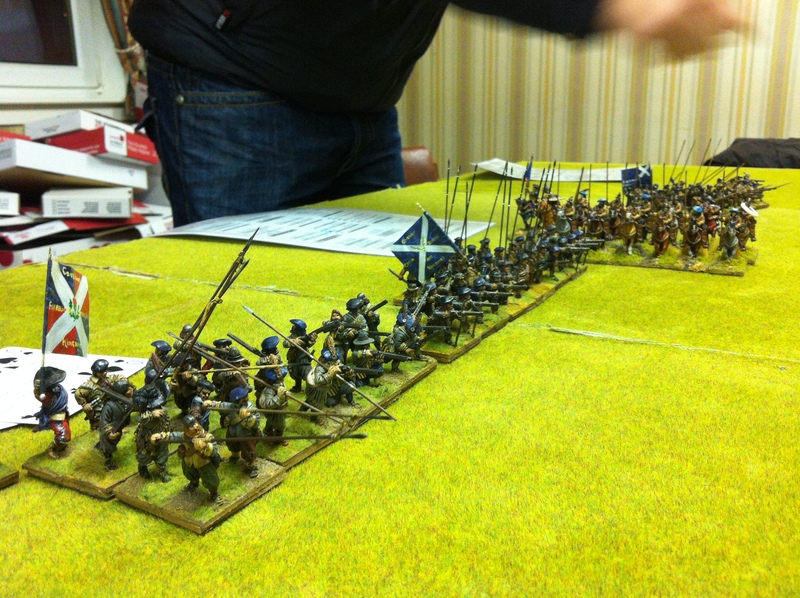 A close up of Alistair’s figures…..
At the moment no other games are planned. If you want to host a game on Tuesday just get in touch and we can add the details here!